The third annual Intelligence & National Security Summit will be held September 7 - 8, 2016, at the Walter E. Washington Convention Center in Washington, D.C. Hosted by the two leading professional associations – AFCEA International (AFCEA) and the Intelligence and National Security Alliance (INSA) – this is the premier gathering of senior decision makers from government, military, industry and academia. In its first two years the summit drew more than 3,000 attendees, exhibitors and journalists. 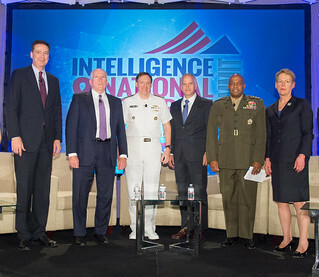 This two-day, unclassified summit boasts an impressive agenda again in 2016 with top federal agency leaders and policymakers sharing their assessments and priorities for U.S. intelligence over five plenary sessions. In addition, nine breakout sessions divided into three tracks – Cyber, Policy, and Enduring Issues – will allow for additional emphasis and discussion of contemporary challenges and opportunities. The Summit’s collection of influential speakers and attendees makes this one event intelligence- and cyber-related companies cannot afford to miss as an attendee, exhibitor, or sponsor.